Following up on my Photo Highlights 2018 post I’m presenting BW Photo Highlights 2018. 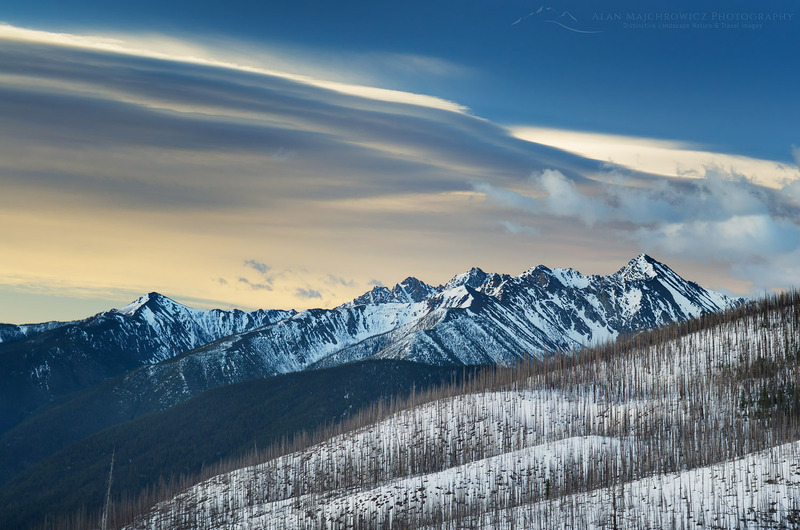 It’s always a difficult task to select around ten of my favorite images from the past year. This year I wanted to include some black and white photos in the main group. However they looked somewhat out of place among the other color images, and I felt they need to in their own separate group. As in Photo Highlights 2018 please feel free to vote or comment on your favorite photos in the comments section, I’d love to hear from you. Also, if you enjoyed these images please share this post with friends family and coworkers. Finally, all of the photos are available as fine art prints and commercial licensing, just click on any to see purchasing options. I hope all of you have a new year filled with peace, prosperity, and joy! 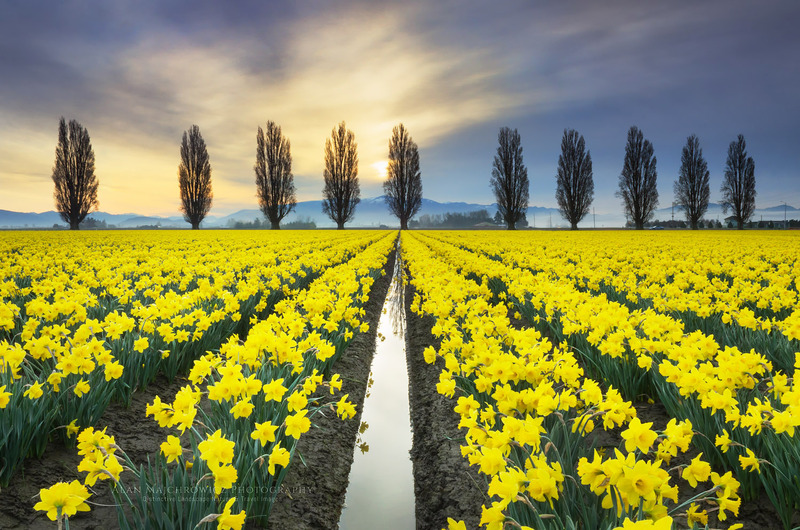 #1) Skagit Valley Daffodill Fields. Unable to get out for winter photography this year I was looking forward to a short trip down to the Skagit Valley for the annual daffodil and tulip blooms. This morning offered a brief burst of light and color in an otherwise grey sky. Photo Highlights 2018: Another year coming to a close, and what a year it was! Like every year there were plenty of ups and downs, but 2018 really packed them in. Most of 2018 was dominated by family related obligations, which for extended periods kept me from working on my business. However, at one point those same obligations opened up a unique opportunity for me to travel to new photography destinations. Some of the photos in this post were a result of that opportunity. Please feel free to vote or comment on your favorite photos in the comments section, I’d love to hear from you. Also, if you enjoyed these images please share this post with friends family and coworkers. Finally, all of the photos are available as fine art prints and commercial licensing, just click on any to see purchasing options. I hope all of you have a new year filled with peace, prosperity, and joy! #2) Tarn in Yellow Aster Butte Basin, Mount Baker Wilderness, North Cascades. 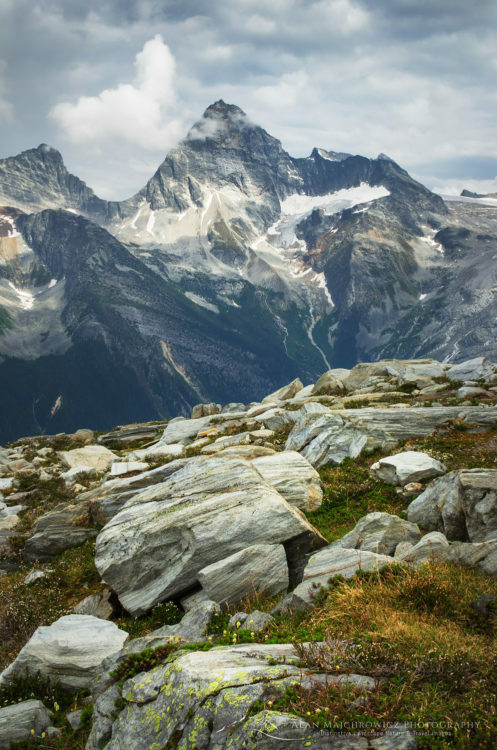 This is one of the more popular hiking destinations in the North Cascades. Less than two hours from my home, I like to return here every few years, for both photography and just getting away. 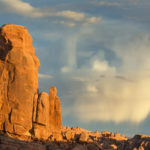 On this trip I enjoyed watching and photographing this group of clouds change shapes at sunset. #3) Mount Sir Donald, seen from Abbott Ridge, Glacier National Park British Columbia. This photo marks the beginning of a lengthy trip that took me to a variety of destinations in the Midwest, and beyond. Glacier National Park, in British Columbia’s Selkirk Mountains, has some of the most dramatic mountain scenery in the province. The park also has some of the most steepest and challenging hiking trails around. The hike up to this viewpoint gained 3400′ in about 3.5 miles, a real thigh burner! 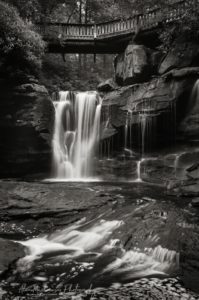 #4) Upper Falls, Old Man’s Cave, Hocking Hills State Park Ohio. Further along on the same trip I spent a sweltering August week in Chicago on family related business. When finished I started the main photo tour in earnest. Hocking Hills State Park is a great location I found out about via a rest stop visitor’s guide a few years ago. This region in eastern Ohio is marked by picturesque rolling hills. 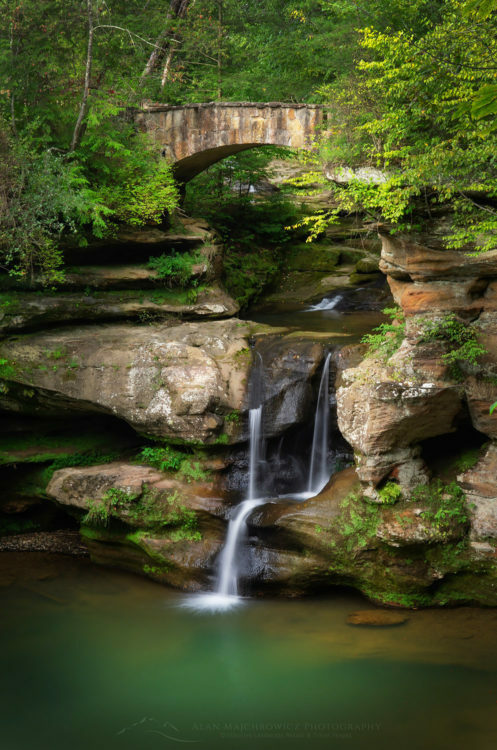 Hocking Hills State Park contains a few sandstone gorges filled with pretty waterfalls and overhangs. Unfortunately the steamy humidity followed me here from Chicago and continued tormenting me for most of the trip. 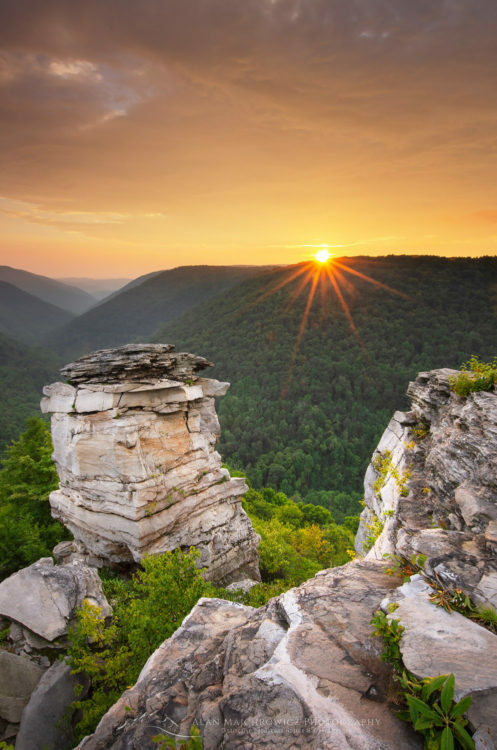 #5) Sunset at Lindy Point, Blackwater Falls State Park, West Virginia. This was my first visit to the central ranges of the Appalachian Mountains. Unlike mountains out west the Appalachians rarely offer sweeping views above tree line. Here in Blackwater Falls State Park, Lindy Point offers a rare panoramic view of the mountains and valleys. Having the area mostly to myself, I spent the entire afternoon and evening watching and photographing the fascinating changes in clouds and light. And yes, it was still horribly hot and humid! 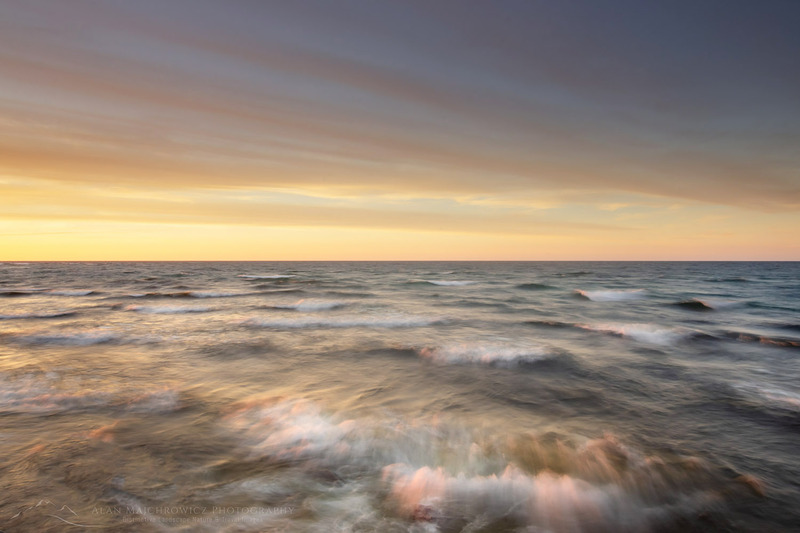 #6) Windy Sunset over Lake Superior at Pictured Rocks National Lakeshore. Michigan was another new destination on this trip. 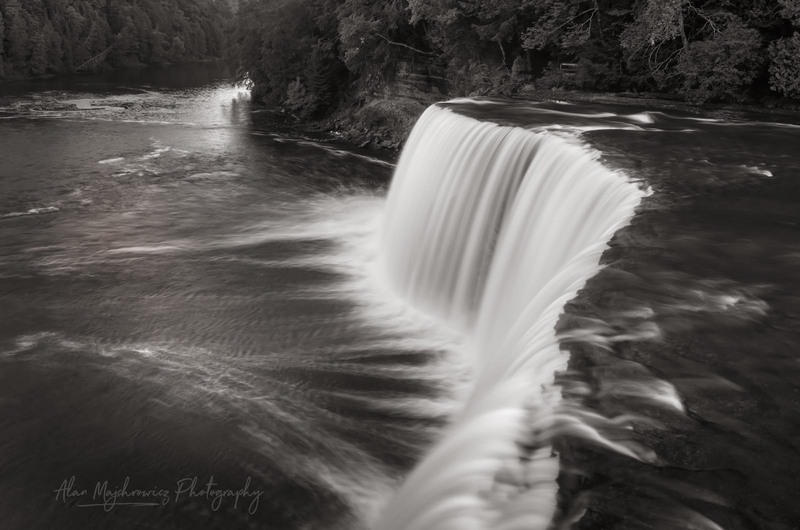 I had been looking forward to photographing many of it’s locations on the Great Lakes and Upper Peninsula for years. 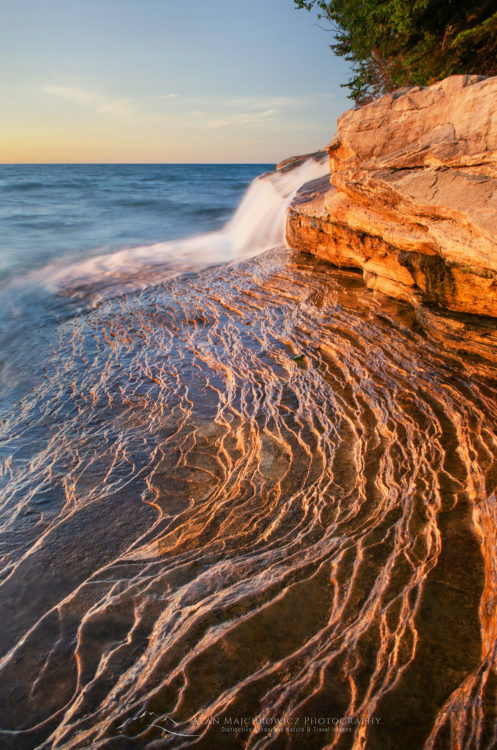 While photographing at Pictured Rocks National Lakeshore the wind really whipped up at sunset. I took advantage of the conditions to try some minimalist compositions and slow shutter speeds. 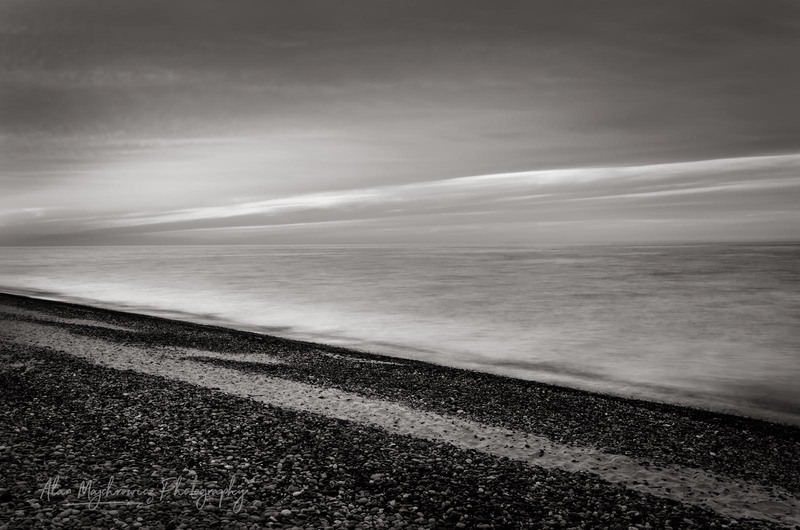 I’ll soon be working on a separate post featuring more images from Lake Superior in this style. You can see several more right now in the New Images 2018 gallery. #7) Elliot Falls, Pictured Rocks National Lakeshore Michigan. This fun little waterfall was on my must see list when visiting Pictured Rocks. The waterfall itself isn’t very big or exciting, but together with spilling directly into Lake Superior over colorful layers of sandstone really makes it stand out. Just before sunset those layers took on a nice warm glow that added another nice dimension to the scene. 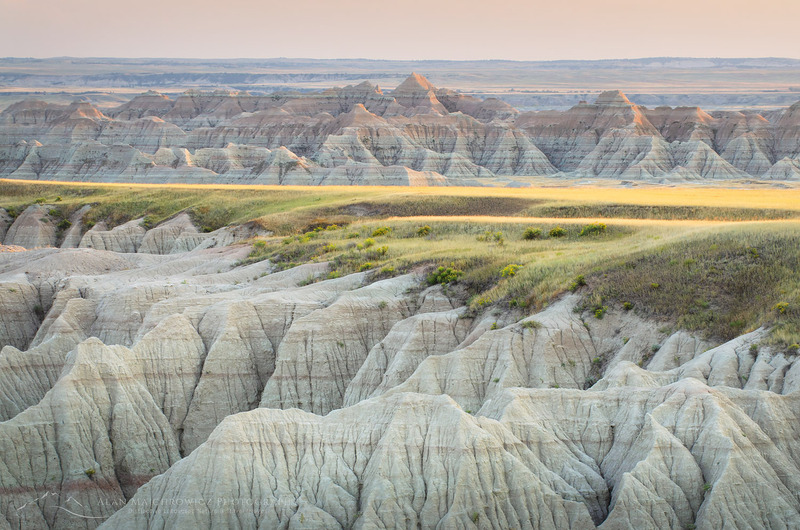 #8) White River valley Overlook, Badlands National Park South Dakota. 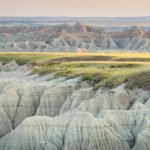 On the way home on Interstate 90 after a long tour I couldn’t pass up making a brief stop in Badlands National Park. I always enjoy visiting this fascinating terrain, plus I was thrilled to be out west again and out of the Midwest humidity. This is another one of those locations that you can visit over and over and always see something new in different seasons and lighting conditions. 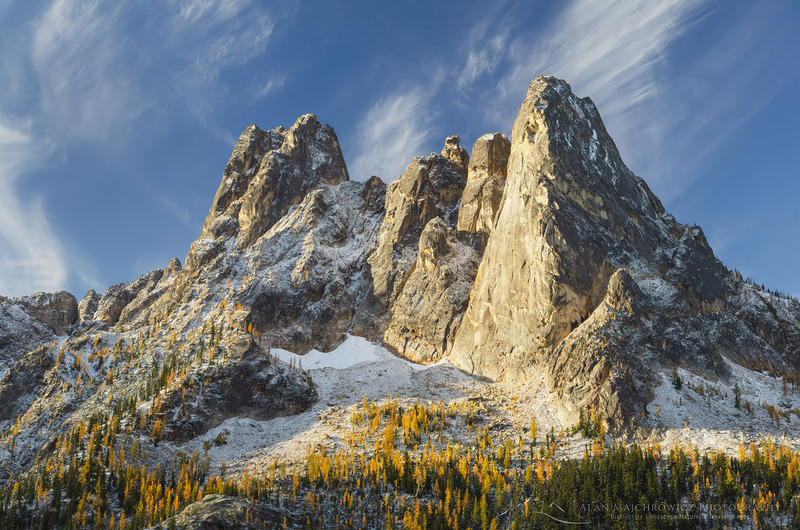 #9) Liberty Bell Mountain at Washington Pass on a frosty fall morning. The photographic year ended early for me in 2018, but on a very high note. I was swamped with work after returning from nearly seven weeks on the road. Between catching up on business, photo editing, and home projects, I had little time to get out again. But I couldn’t pass up a good stretch of fall weather at the beginning of October. I headed up the North Cascades Highway to some of my favorite spots, Washington Pass and Rainy Pass. After a fresh snowfall this scene at Washington Pass took on an interesting mood as a bit of fog rolled in over the pass. I’ve photographed this area for over thirty years and this is one of my favorite images so far. #10) Liberty Bell Mountain from Washington Pass Overlook. My final image is a companion to #9, made about an hour later. After photographing from the meadows in the previous image I almost packed it in and left, since I felt the light had played itself out for the morning. However, I had a hunch to stop by the paved overlook trail to see what may be happening there. I’m glad I did, the light was still and warm with nice wispy clouds in a blue sky. This is a classic Northwest view photographed millions of times, but it never gets old for me. Driving out from Chicago in a beat up old car when I was 19, this was my first view of the North Cascades. I fell in love with these mountains right then and there, and I always feel blessed I can call them home! #11) American Border Peak in winter, Mount Baker Wilderness North Cascades Washington. This one is a last minute addition. 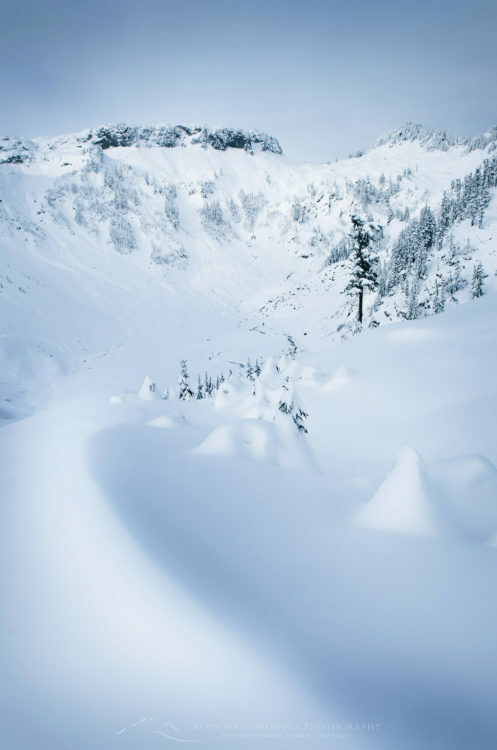 Made on December 26 at the Mount Baker ski area while testing out a new camera system. This photo was hand held at 200mm focal length, f/3.2 1/30 exposure and heavily cropped, but it still is nice and sharp. The VR on this lens is amazing! Bring the beauty of our natural world into you home or office with our 2019 Desktop Calendar. Several of the Photo Highlights 2018 are featured in the calendar! We say it every December, yet another year has flown by! It seems it was only yesterday I was writing on this blog about my favorite images of 2016. As with every passing year we can look back and revel on our accomplishments, and learn valuable lessons from our disappointments. Hopefully we all had more of the former! 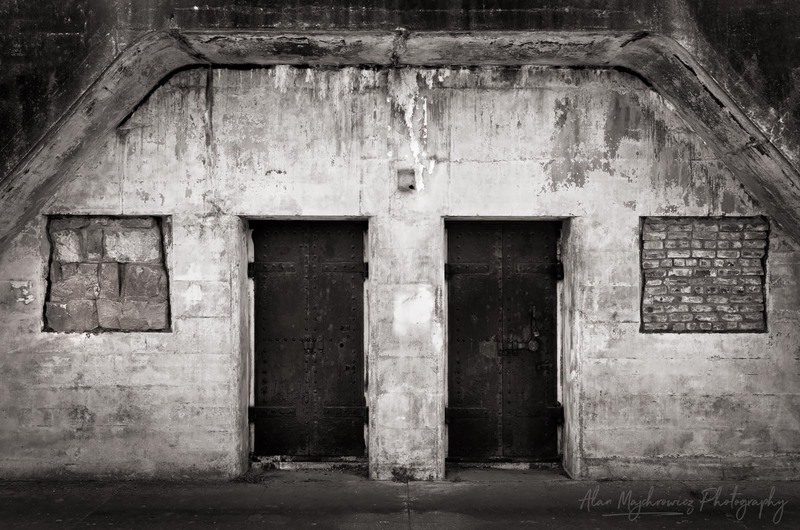 This year I was once again very fortunate to be able to travel to and photograph some great new locations. I was also thrilled to make a long awaited backpacking pilgrimage to one of my favorite spots in the North Cascades. Throughout my journeys I met some great people who shared my love for the natural world. This past year also brought with it some valuable new clients and business opportunities. Building on these successes I hope to make 2018 an even better year! So without further ado let’s see some of the photo highlights 2017. 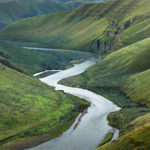 This image of the John Day River was made during an extended spring photo tour. One of the first stops on this trip was Cottonwood Canyon State Park in north central Oregon. 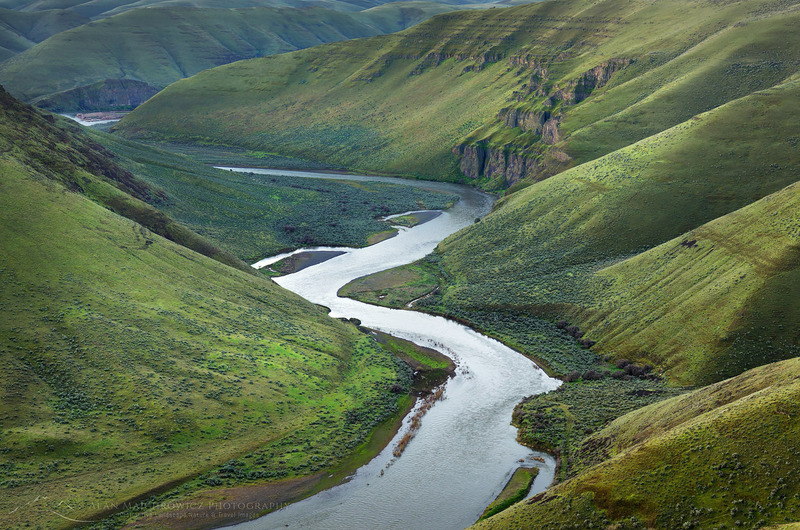 Designated a wild and scenic river, the John Day snakes it’s way through steep walled valleys of the Columbia Plateau. One of the few viewpoints down to the river is above Cottonwood Canyon. I made this photo shortly before sunrise after car-camping on a muddy backroad near the rim. The green slopes can be misleading. This is a very dry region, with brown the dominant color for most of the year. 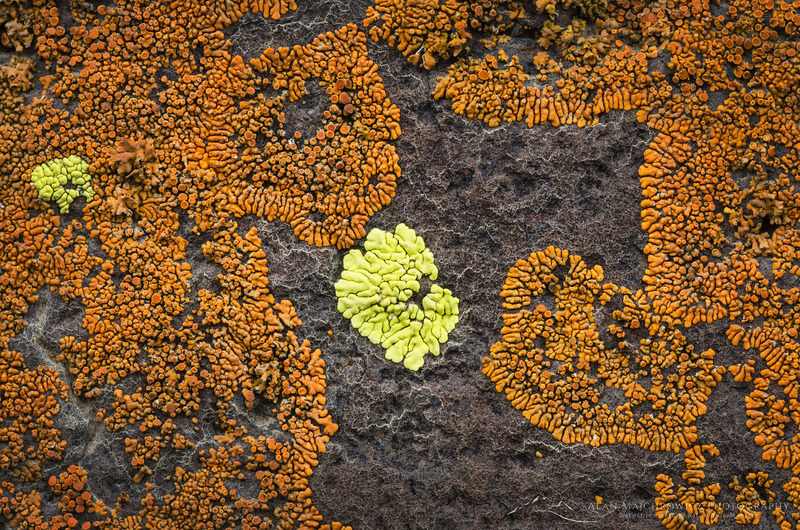 Down in Cottonwood Canyon colorful lichens paint exposed cliffs of Columbia Plateau basalt. Seen across the river at the campground I made it a point to check out this display. The lichen colonies are impressive enough from a distance, but a close inspection reveals another world. I spent a good part of the morning exploring the cliffs with my macro lens. 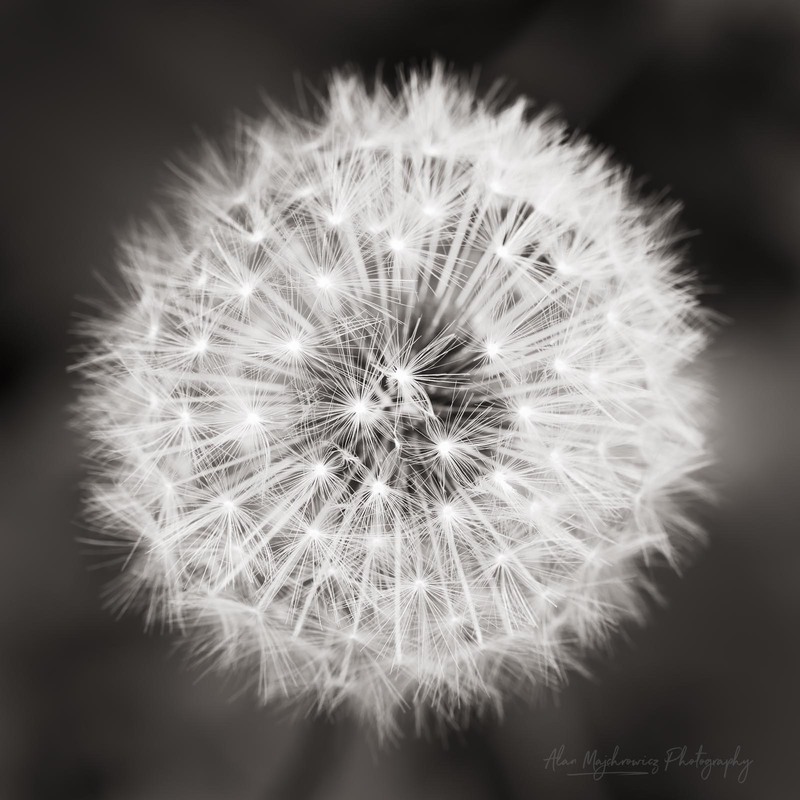 Getting in close you can find an infinite range of details and abstract patterns. Some are reminiscent of fractal patterns. 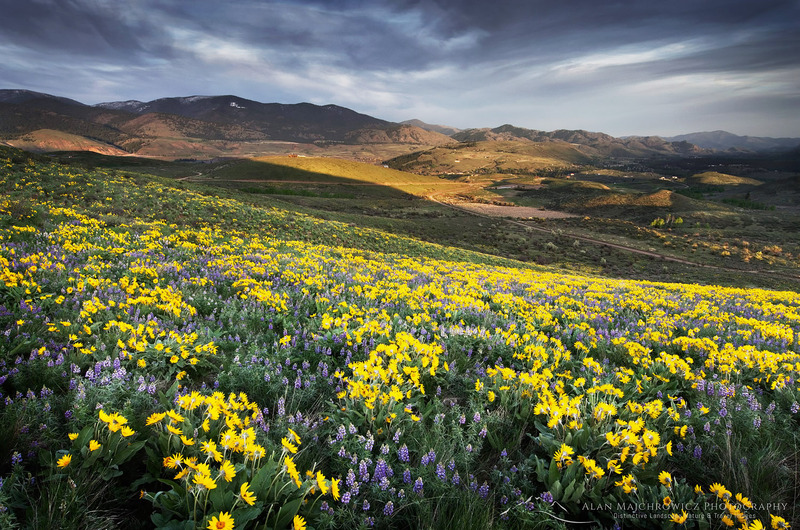 After photographing in Cottonwood Canyon I returned to the Hood River Valley. 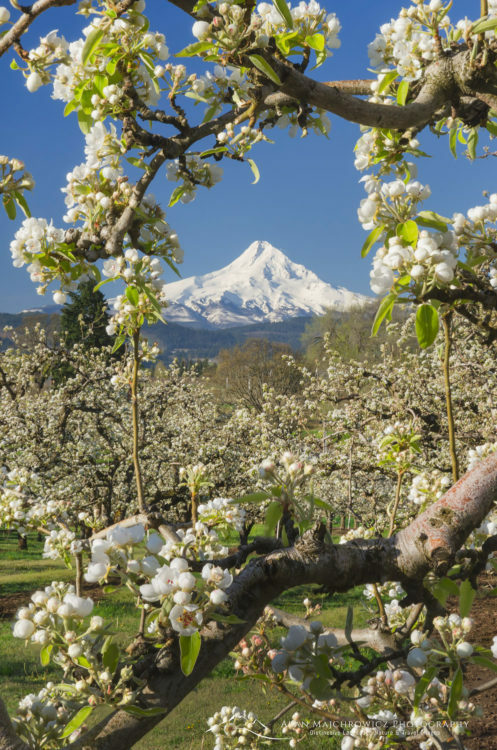 I was hoping to photograph the orchards in bloom. However a cold lingering winter delayed the bloom by a few weeks. On my return only a few of the orchards offered a good display. Arriving at sunrise throngs of other photographers were already setting up. When it became apparent there would be no dramatic clouds or light, they all left. I lingered on for a few hours, slowly scouting out some compositions. The above composition, and a few others, helped make the most of a blue sky. 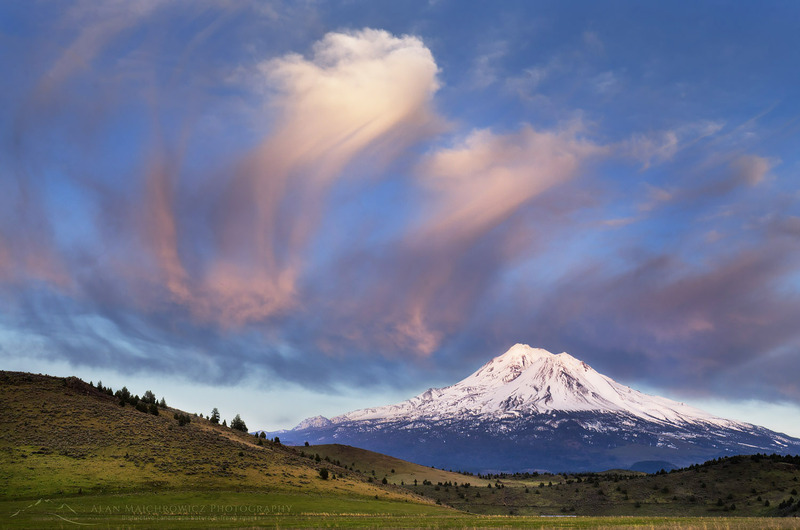 Further south the same trip I was able to make this image of Mount Shasta just as I arrived in the area. Driving madly down a gravel road I was able to find this composition only minutes before the light faded. I spent several days exploring this area, however, this was the best light I encountered. 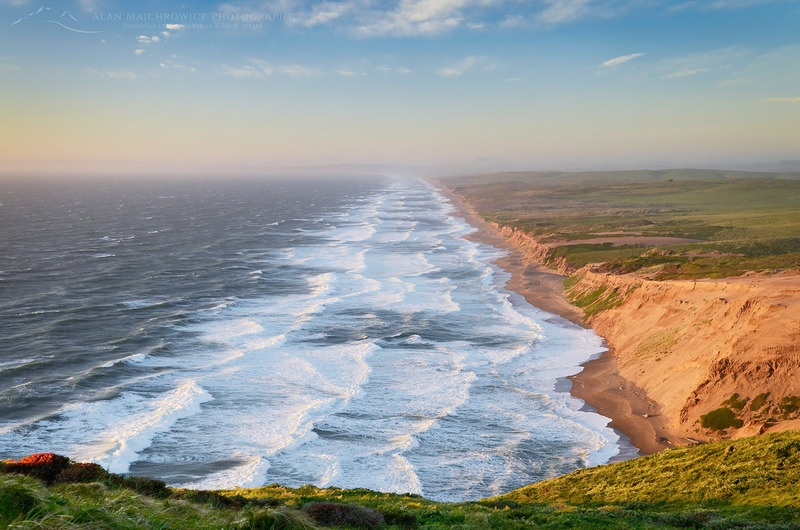 Point Reyes National Seashore in California is arguably the windiest place on the North American coast. On this and a previous trip it would’ve been hard to convince me otherwise. To make this photo I crouched down behind a small boulder to shield me from the incessant wind. Even with the tripod inches off the ground with the legs spread wide I still had to hold on to the camera to reduce shaking. 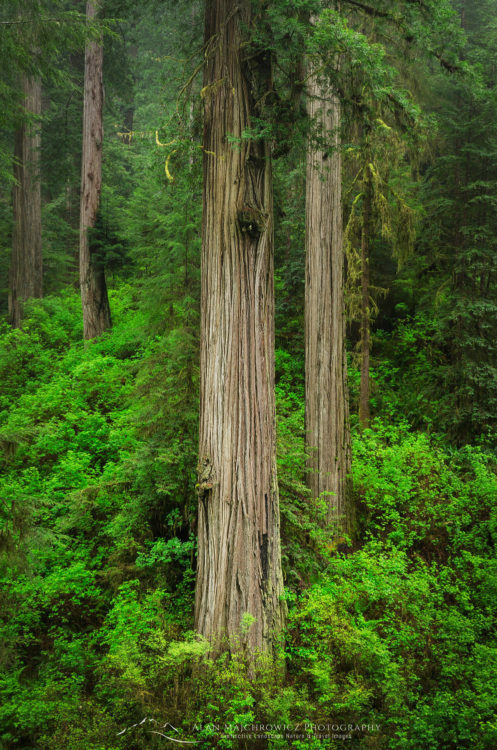 The Redwood forests of Northern California are among some of the most beautiful and humbling places to visit. Pictures cannot convey the scale of these massive trees. They are also one of the most difficult subjects to photograph. Generally the best opportunities are from the edge of a clearing. In this case my photo was made from alongside a road. While most photos of Redwood forests utilize a wide to super wide angle lens, I used a short telephoto for this one. 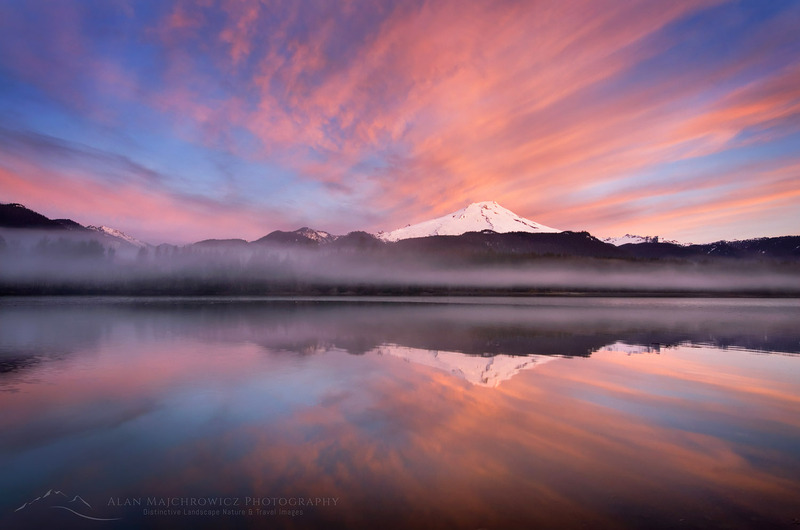 Of course the nearly constant fog and overcast works in your favor to accentuate colors and keep contrast manageable. On Gold Bluffs Beach in Redwoods National Park I enjoyed making a series of images of surf action as the fog cleared. 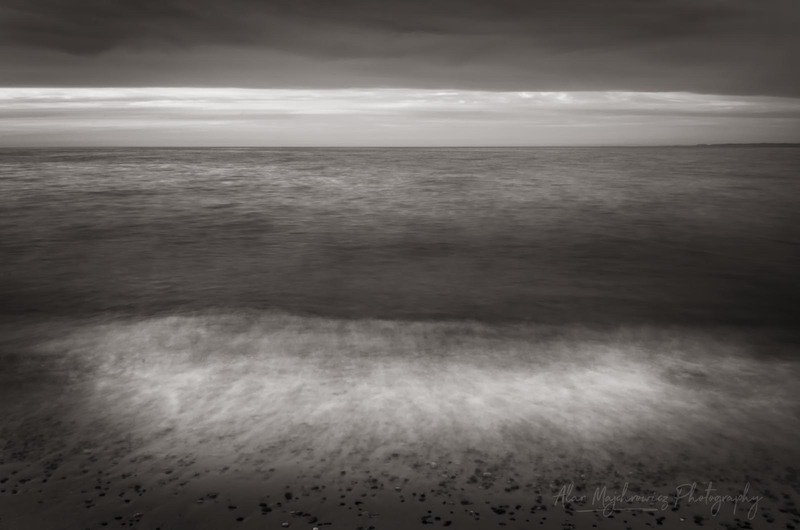 The simple elements of dark sand, water, and sky were constantly shifting into new shapes and patterns. 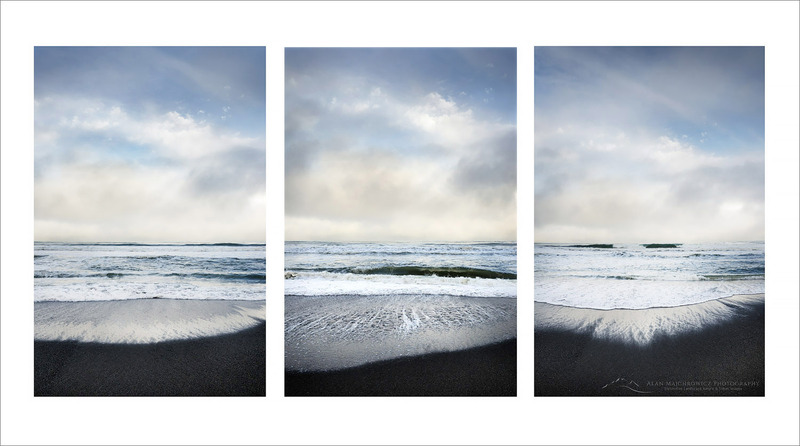 While several images from this session stand well alone, I feel this triptych helps further project the abstract nature of the experience. 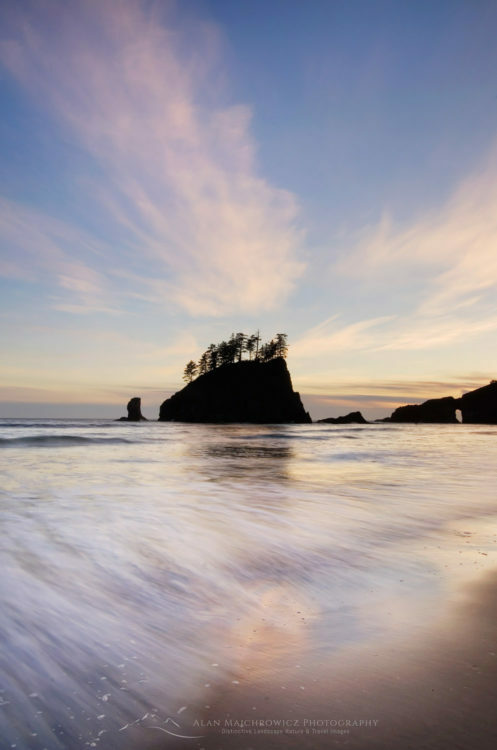 The southern Oregon coast has some of the best locations for photographers. Harris Beach State Park, in Brookings, makes a great base for days or weeks of location work. This photo was made in the twilight before dawn. A long exposure gave the creek a silky feel, which adds another dimension to the curves and textures of the composition. Back on my own home turf in the North Cascades, I made this photo as park of a fun weekend of hiking in the Rainy and Washington Pass vicinities. 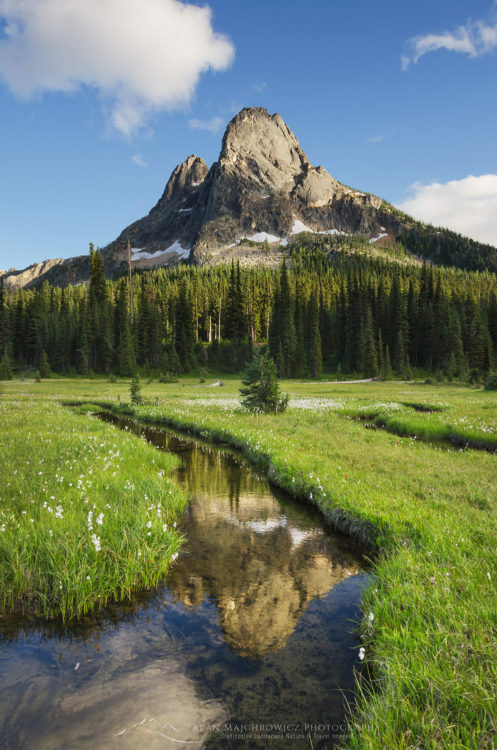 For over 30 years I’ve visited Washington Pass and marveled at the beauty of Liberty Bell Mountain. Although I’ve photographed this scene many times in the fall, or snow covered in early spring, this was my first attempt during the height of summer. Photographic compositions here come fairly easy, with help from leading lines curves of the meandering creek. If you decide to visit this area please thread very lightly, as the meadows are fragile and are showing signs of wear and abuse. 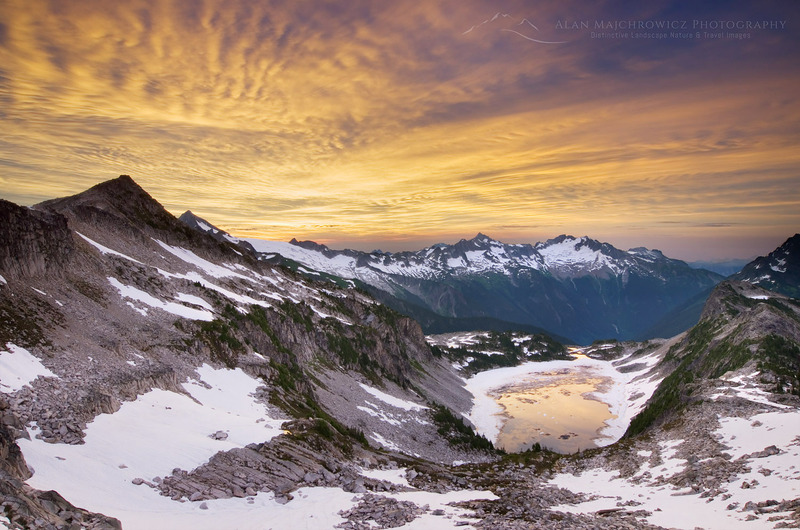 I made this photo last August during a six day backpacking trip to Whatcom Pass and Tapto Lakes. It’s a magical place that for various reasons took me over 20 years to return to. 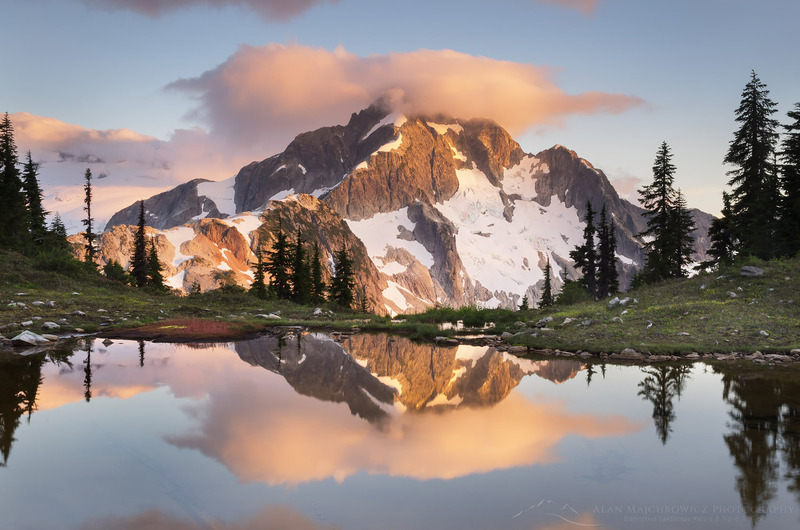 North Cascades National Park is a rarity in the National Park System. Over 90 % of the park is designated wilderness, with only one short gravel road intruding on it’s borders. Most of it’s magnificent rugged beauty can be seen only via hiking its many trails. Even then, some of the best views are off-trail, requiring mountaineering experience. Whatcom Pass is an exception. You can visit this scene after trail hiking around 18 miles, over one pass, down into a deep valley, up another pass, and then straight up a rough climbers route. This trip can be made in three days by strong hikers with light packs, but I recommend a more leisurely 5-6 days. Plan a day or two of just sitting around taking in the views. You never know when you’ll get a chance to come back! Adjacent to the Mount Baker Ski Area, Heather Meadows is just a short drive up the road from my home. 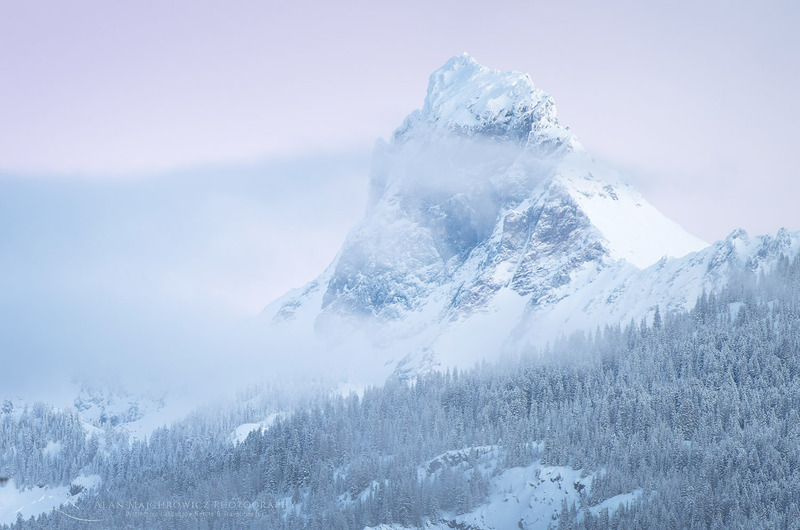 It’s one of the gateways into the rugged backcountry of the North Cascades, in addition to being one of my longtime go-to places for winter photography. I made this photo after the first major snowfall of the season. Slowing making my way around on skis I came across this composition in soft diffused light. I liked how the soft delicate shapes in the foreground contrasted with the harder rugged shapes in the distance. I hope you enjoyed my Photo Highlights 2017 please feel free vote and comment on your favorite images! 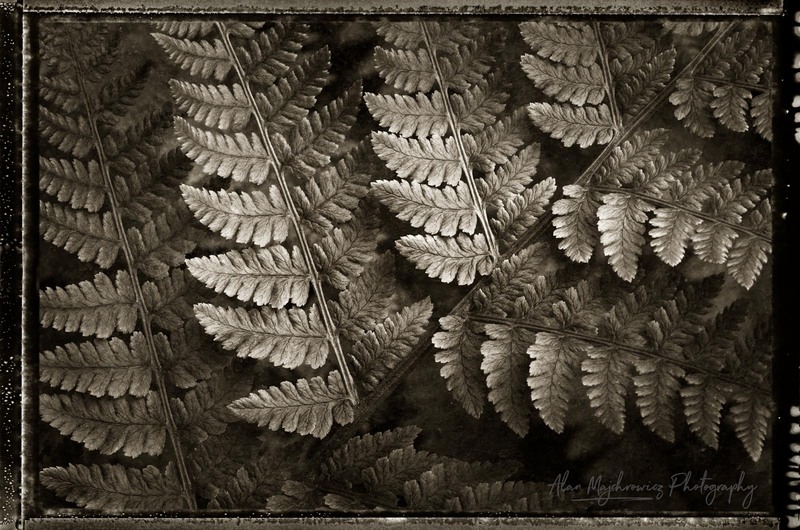 And don’t forget, all of these images are ready to purchase as fine art prints or commercial licensing. Just click on any image! Thanks for viewing this post, I wish you and your families, peace, joy, and prosperity in 2018. I hope to see you on the road and trail in soon! Another year come and gone already, it seems like just yesterday I was writing about the 2015 Photo Highlights. For me, like many others, 2016 had some great highlights that were overshadowed by sadness and uncertainty. So many creative and influential people had passed this year, famous public figures I admired and close family members. It often made me pause and wonder. On the creative side, 2016 was a year that saw me finally visit and photograph several locations that have been on my list for many years. New Mexico and the Canadian Atlantic Provinces of New Brunswick and Nova Scotia, to name a few. 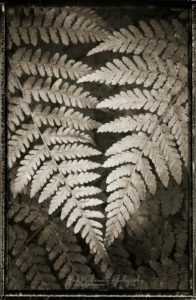 Perhaps even more important were a number of events and realizations that had me look back into the roots of my art and photography, resulting in a growing awareness of the direction my photography should take. Several of the images shown below represent the beginnings of this effort. So without further ado let’s look at some of the Photo Highlights of 2016, and please feel free to vote or comment on your favorites! My first major trip of the year was a return to the Desert Southwest. Beginning in Anza Borrego Desert State Park of California I met up with my good friend Cyril Albrecht, visiting from Belgium. 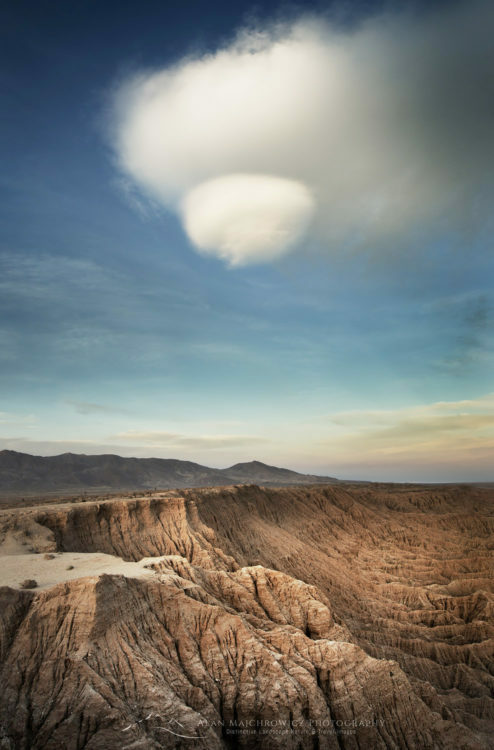 Although we both had different itineraries we were able to photograph together in a couple of locations, Fonts Point overlooking the Borrego Badlands was one of them. During one evening while waiting for the light I noticed this wonderful cloud formation developing in the opposite direction. I loved the abstract graphic qualities and how the round softness of the cloud contrasted with the harsh desert environment below. 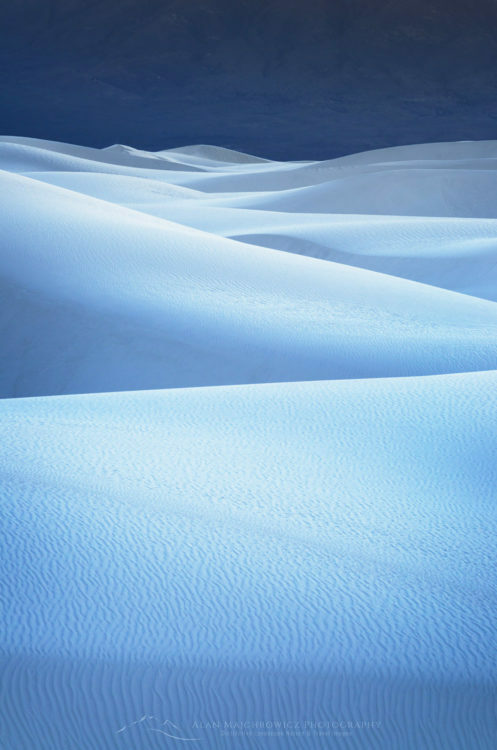 White Sands National Monument in New Mexico was one of the new locations I visited this year. Sand dunes are always fun to photograph, and the white gypsum dunes in the monument added an extra level excitement to my visit. The area is wide open for roaming and exploration. Due to the amount of tracks in the sand created by visitors, it was necessary to hike further out for pristine conditions. Although the area is fairly small it is extremely easy to become disoriented and lose the path back to the trailhead. This image is definitely one of my favorites that I brought back. 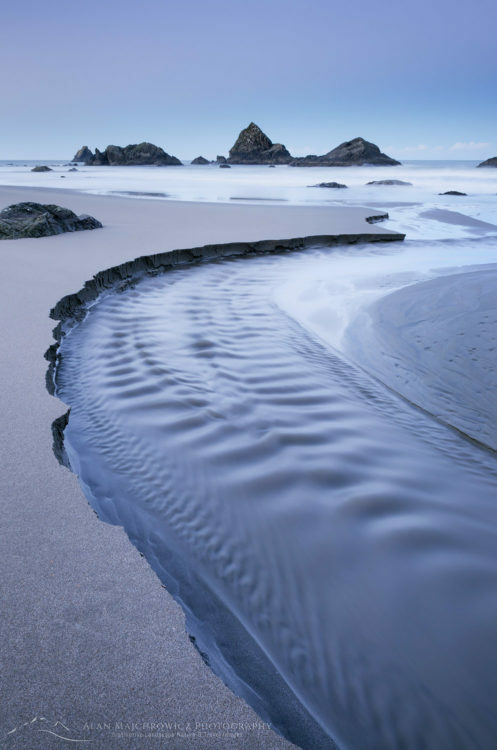 The cool tones, layers, angles, and ripples in the sand created a pleasing composition. Another new location was the fabled Bisit/De-Na-Zen Wilderness, or simple Bisti Badlands, of northern New Mexico. Badlands and hoodoos are among my favorite subjects to photograph, and Bisti contains some of the best examples of these whimsical eroded rocks. I stayed there for three days and managed to just scratch the surface of creative possibilities. On the second evening I was treated to some of the most dramatic light I’ve seen in years. On that evening, after finishing photographing my prime subjects I hurriedly scrambled around to locate more compositions. 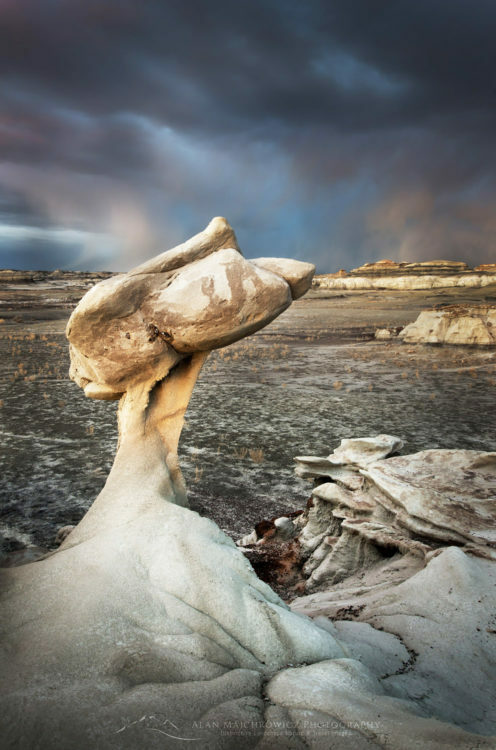 This nearby hoodoo exemplified the oddities of Bisti, and post-processing the image to reflect the harsh alien-like environment added to this feeling. 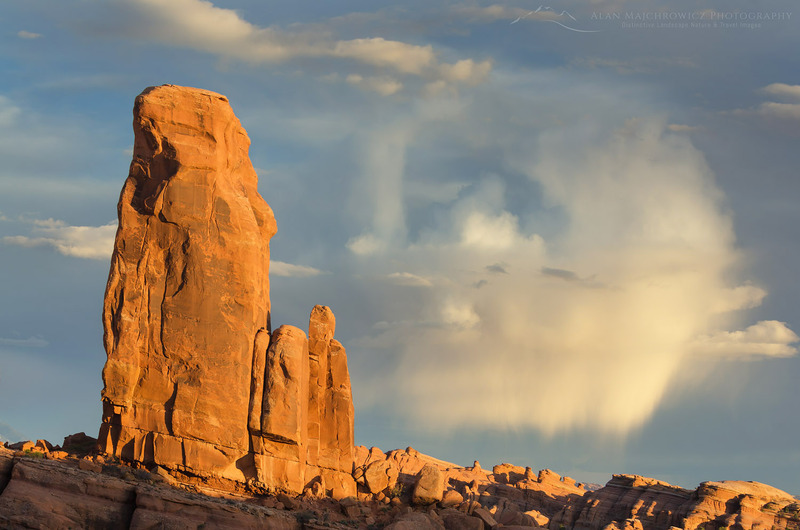 This image from Arches National Park was made in the Klondike Bluffs area. Although I’ve been to Arches several times before, this remote section of the park was new to me. Klondike Bluffs offers several dramatic arches and lots of red rock pinnacles, in addition to lots of solitude. While the main park attractions were swarming with visitors I enjoyed sharing this beautiful area with just a handful of people. Once again, some wonderful clouds glowing in evening light added to the drama, here balancing the composition with red sandstone pinnacles. Back home in the North Cascades, my first backpacking trip of the year yielded this image of an approaching storm over Gardner Mountain. A grueling hike, post-holing through snow and downed trees, led to the summit of Driveway Butte. Although my camp near the top had wonderful vistas, it didn’t really offer the compositions I had hoped for. However, as day broke my fortunes changed as the leading edge of the storm glowed with light and mirrored the angles of the mountain ridges. I made several photos of this event before sitting down to enjoy the show. September marked the beginning of a long anticipated trip with my wife Coleen to New England and the Canadian Atlantic Provinces of Nova Scotia and New Brunswick. The first new location on this trip was a brief stop at Watkins Glen State Park in New York. 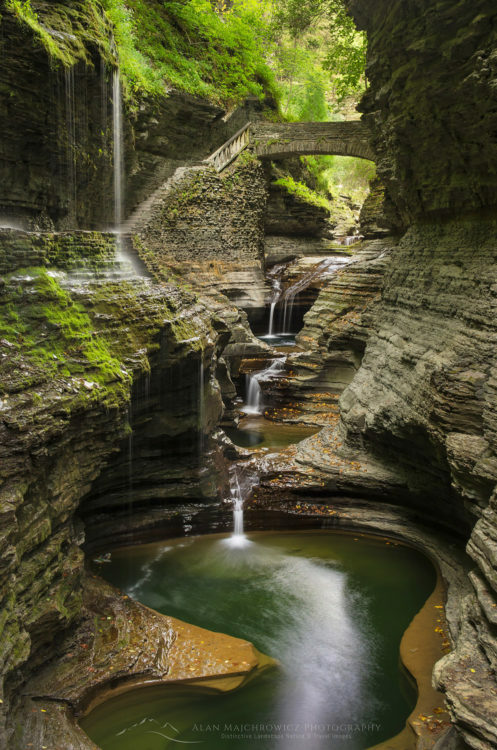 Situated in the Finger Lakes region, the main attraction in Watkins Glen is a beautifully sculpted narrow gorge. Only about a mile long with moderate elevation gain, the trail passes numerous pools, waterfalls, and hanging gardens. One of the highlights is this view framed by a stone bridge. Unfortunately, I only had a short morning to explore the photographic possibilities of this gem. Oh well, there is always next time. Nova Scotia was one of the highlights of the trip for me. For many years I’ve wanted to visit and photograph the Atlantic Provinces. The colorful fishing villages and seascapes have a powerful attraction for me. One location was high on my must see list. 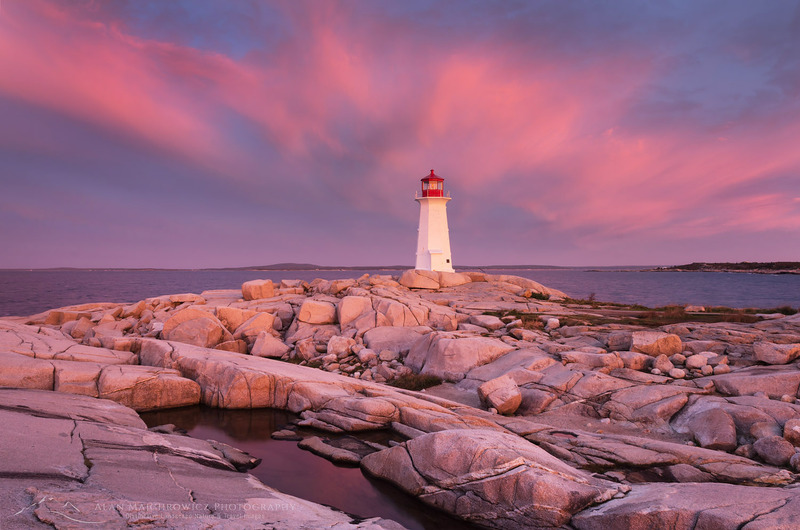 Peggy’s Cove, is arguably one of the most photographed and visited spots in all of Canada. After spending several days in remote and quiet Cape Bretton Highlands National Park, we were unsettled to be confronted by endless tour busses and crowds of people swarming everywhere! While waiting for evening light and the crowds to thin, we spent a relaxing day picnicking and exploring the nearby granite shoreline. Photographing sunset at the lighthouse was a bit disappointing due to the lack of clouds. The local weather forecast had predicted rain the next morning adding to our frustration. With a chance the storm may arrive after sunrise we spent an uncomfortable night truck-camping in the parking lot near the lighthouse. The next morning clouds began to move in just at sunrise. Perfect conditions for those extremely rare light shows that starts great and continues to improve over time. I ended up making many images before the clouds finally blocked the sun and everything went grey and rainy. Next on our trip was Acadia National Park. 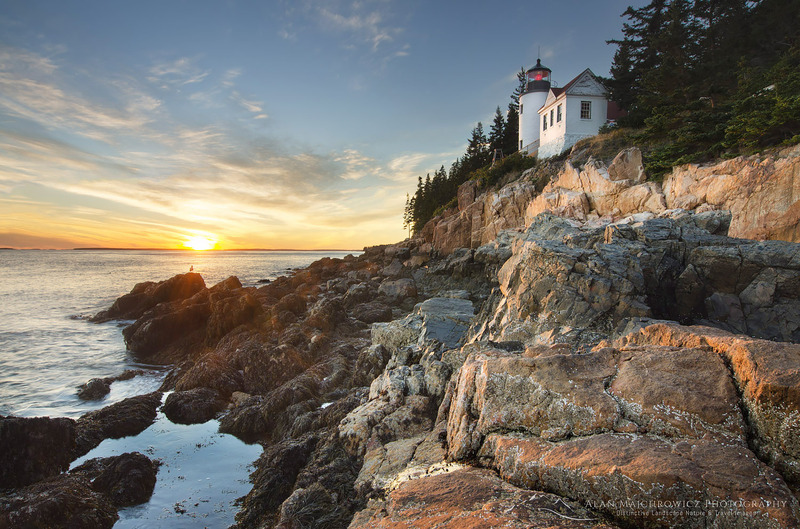 The park, situated on Mount Desert Island, is said to be the most visited national Park east of the Mississippi. 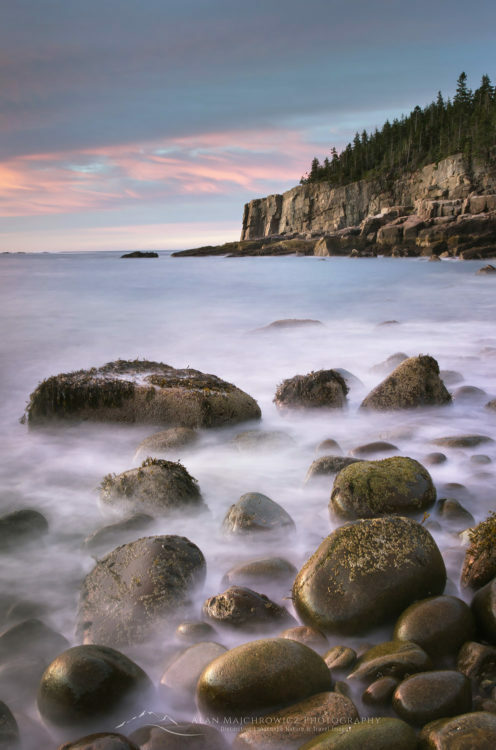 We had several instances of good light here, one of these being at Bass Harbor Head Lighthouse. Photographers can’t visit this park without making a photo of this iconic lighthouse. On this evening I was among a sea of tripods. Everyone crowded into a very small space on the edge of the rocks. One photographer told me that it was a low turnout, the previous evening had twice as many photographers! 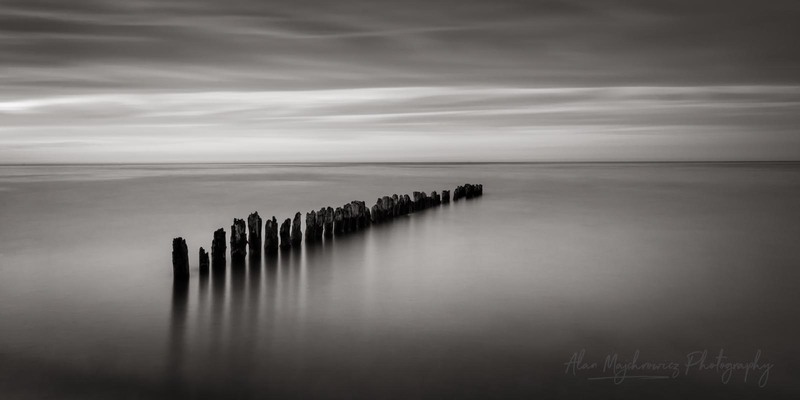 The next morning I planned to make some long exposures at a popular cobblestone beach in the park. Arriving before sunrise, there were several other photographers from the previous evening setup well above the waterline. 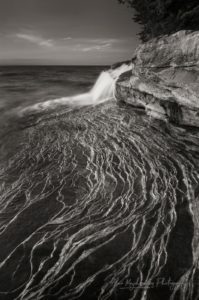 I, however, wanted to get down to the water’s edge to create a smoky effect of water among the rocks. The wet bowling ball sized boulders were treacherous. Smooth and extremely slippery, I had to carefully plan every step, the effort was worth it though. The last new location we photographed in 2016 was Ricketts Glen State Park, Pennsylvania. This park was only a little out of our way as we travelled back home, but it was worth the detour. I’ve seen many wonderful images come from this park, and like Watkins Glen it really needs time for exploring all the hidden gems in all seasons. The northeastern states were experiencing a drought, so the water flow through the glen was low during my visit. I didn’t mind since there still was an abundance of subject matter to work with. 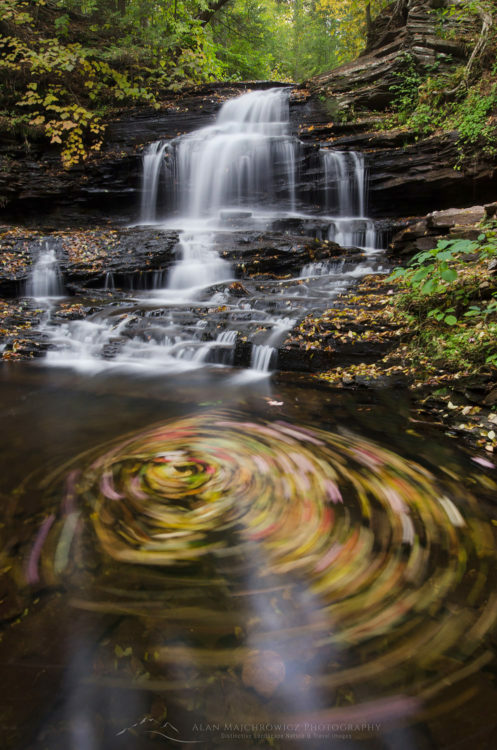 In the image above I utilized a long exposure to create a swirling pattern by the motions of the leaves. With so many new images and locations added to our files in 2016 selecting the top ten was a very difficult task. There were many images from the SW and New England that I very much wanted to add. To see more from this past year please take a few minutes to check out the New Images Galleries. You can also search images by location or keyword. 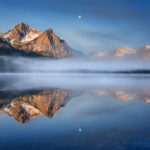 Thank you so much for visiting this post, and don’t forget to vote for your favorite image and feedback! Yes, it’s time once again to look back and reflect on the highs and lows of the past year, and hopefully, see how much we have accomplished and learned. This past year included several great locations that turned out to be very productive and memorable. Most notably my spring trip to the Southwest,where my wife Coleen was able to join in the fun. So let’s check out some of the photo highlights of 2015. Please feel free to vote for your favorite photos in the comment box and share this post with your friends. Also, don’t forget that all of these photos are available for purchase as Fine Art Prints and Commercial Licensing! Many sincere thanks to all my friends colleagues and loyal clients for making 2015 another successful year. I wish you all a Happy New Year with the best of health and prosperity for you and your families in the coming year! This photo was made at the beginning of my spring southwest trip, with the first stop being Joshua Tree National Park. There is a lot to see and photograph in this park but the Jumbo Rocks have to be among the most interesting. 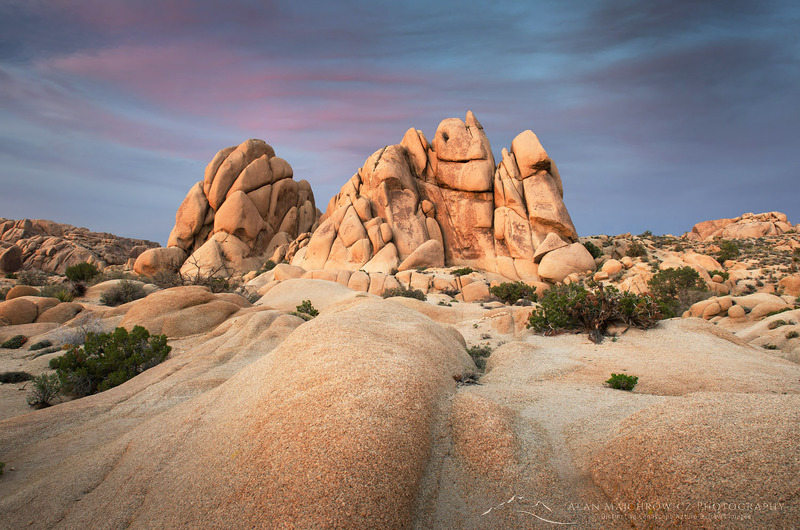 Surrounding a great campsite Jumbo Rocks is a wonderland of whimsical granite rock formations. During our visit, I had a couple instances of good light. This really kept me on my toes running around for interesting compositions. It definitely paid off to scout the area earlier in the day! Later on the same trip, we stopped for a few days at Lost Dutchman State Park in Arizona’s Superstition Mountains. I was hoping for some dramatic photos of iconic Flatiron Peak and wildflowers. However the area was in the middle of an early season heat wave. With clear blue skies, conditions were not the best for landscape photography. The annual bloom of wildflowers was just past peak with the heat was withering them fast. 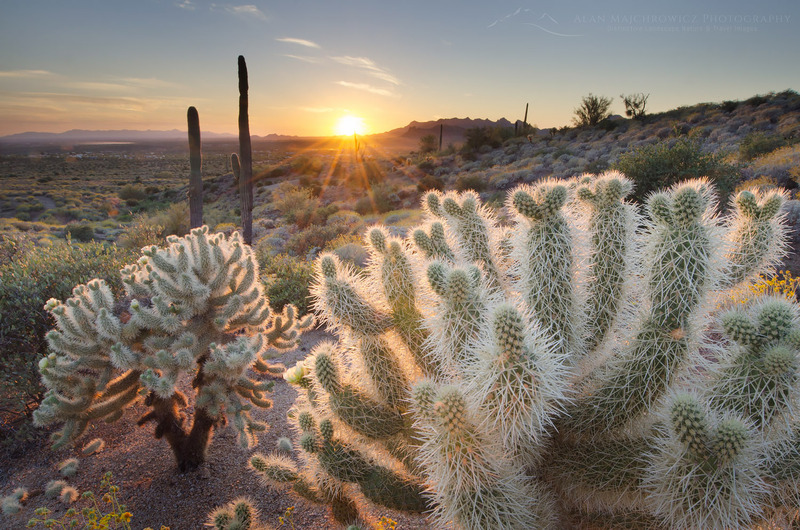 However I did get some nice photos of one of my favorite desert subjects, the Teddy Bear Cholla Cactus. Illuminated from behind like in this photo they take on a beautiful glow. From a distance and to the uninitiated they look soft and cuddly. But if you even so much as brush lightly against one you will experience excruciating pain. The barbs are very sharp and can penetrate thick clothing and still keep going into your flesh. I was picking barbs from the inside of my shoes for weeks after! The last stop major on the Southwest trip was Grand Canyon National Park. 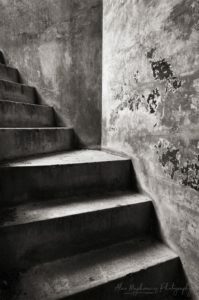 A classic location filled with endless photographic possibilities. One can spend a lifetime exploring and photographing in the park. The canyon, however, can be very frustrating since everything depends on the right light. Anytime between sunrise and sunset can offer nothing but flat washed out hazy light unless of course there are some storms moving through. Most visitors see the canyon during midday and come home with disappointing images that do not depict the grandeur and immensity of the canyon. During our stay I was lucky to have three evenings and one morning with good light. 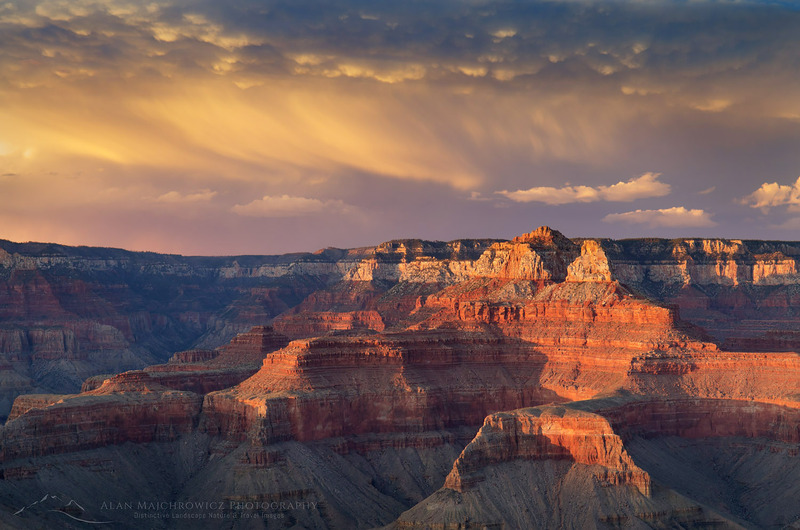 The image above was made at sunset as a storm was beginning to clear over the North Rim. May is a wonderful time in the Northwest. Everywhere there are vivid shades of greens and rushing creeks filled with snowmelt from the mountains. Deception Creek on the north border of the Alpine Lakes Wilderness Area is a classic example of a lush cool old growth forest. It has been many years since I hiked this short trail, and it was a pleasure just to sit and breath in the cool scented air! Later on the same trip I decided to spend the afternoon sitting along the banks of the Skykomish River. 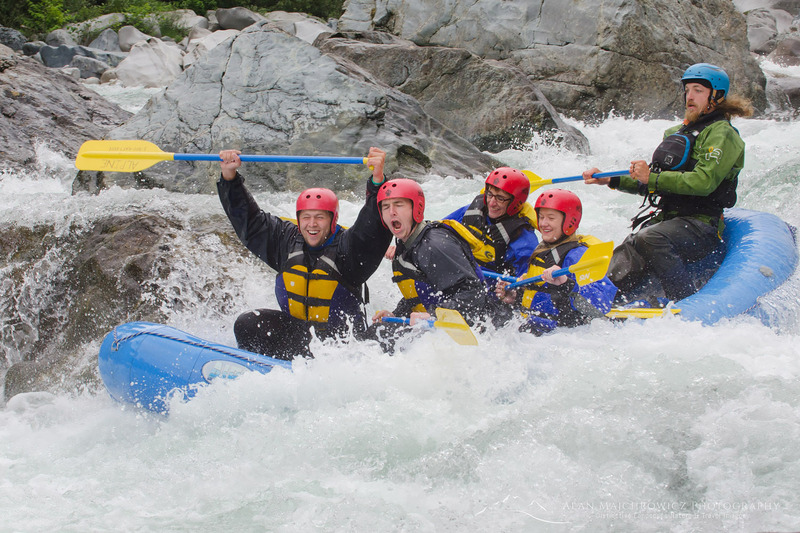 Here I photographed rafters negotiating the rapids of Boulder Drop. The Northwest was already experiencing the initial stages of drought with little winter snowpack to feed the rivers. Although the Skykomish had enough to keep these folks hooting and hollering all the way down. I had almost as much fun watching and photographing them as they did running the rapids! 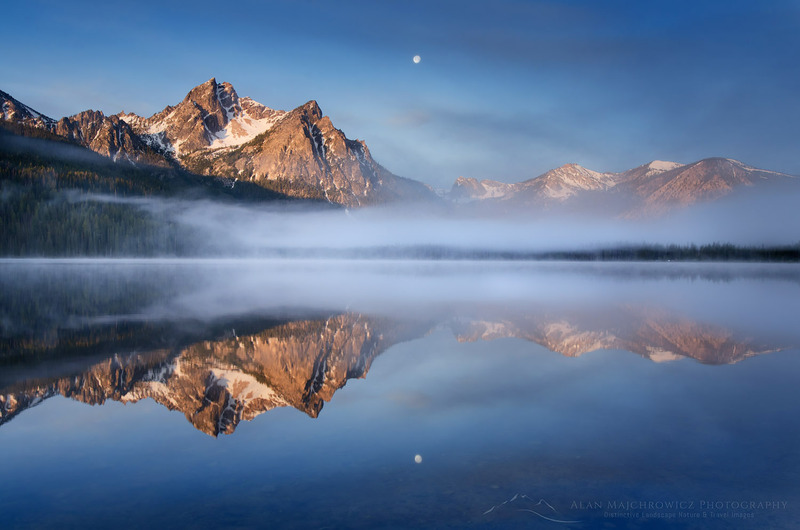 My next trip in June to the Sawtooth Mountains of Idaho was perhaps the most successful of the year. During my stay several rainstorms passed through and began clearing just at the right time. These provided some beautiful light for photographing the scenes. One morning I woke up disappointed to be socked in by fog but. Fortunately, it began clearing over Stanley Lake just as the sun was coming up. As I finished my work the fog closed in to shut off the view, talk about timing! 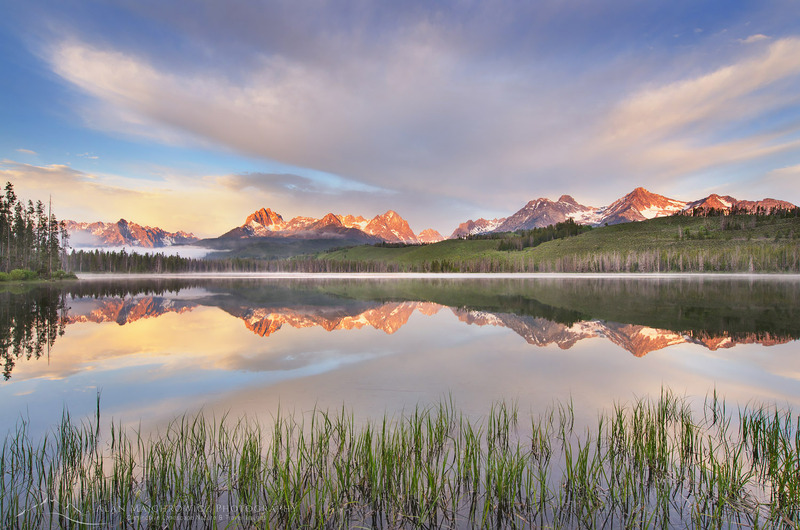 Above is one of many variations of sunrise over Little Redfish Lake in the Sawtooth Mountains. This was another morning that started out looking like a dud and then really came to life as the sun rose and illuminated the clouds of a passing storm. The final stop on this trip was Owyhee Canyon and Uplands of both southwest Idaho and southeast Oregon. One of the most remote areas in the west I’ve ever visited, you can be assured of solitude just about everywhere. 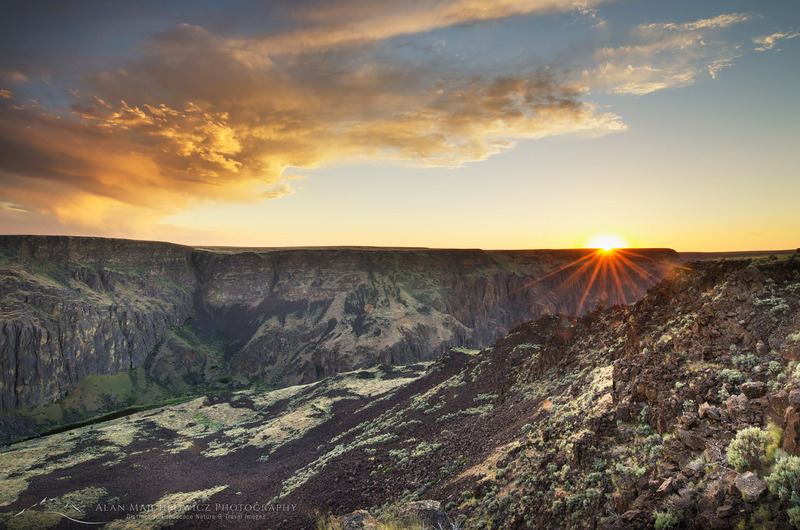 The geology is fascinating, ancient basalt lava flows and ash deposits carved by rivers into dramatic cliffs and spires along with natural hot springs sprinkled throughout. The highlight of this area was an overlook of the canyon at sunset, again a clearing storm provided drama to the scene. I’m definitely coming back again to spend more time exploring and photographing, hopefully, my aging truck will survive the beating! In the fall I made a trip to Hart’s Pass and Slate Peak in the North Cascades in search of new images of my beloved Subalpine Larch (Larix lyalli). This is another location I used to frequent often in the 90’s. I haven’t been there for many years and it felt good to be back in my old haunts. 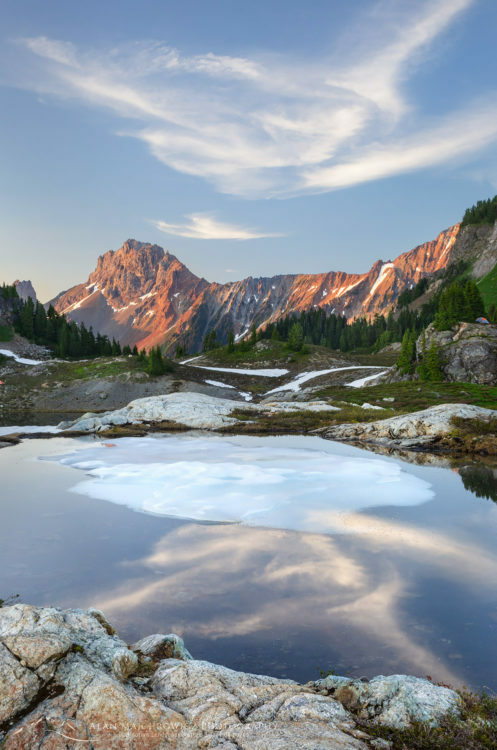 The road to Slate Peak and Hart’s Pass is the highest drivable in the state and provides an exceptional view of the east peaks of the North Cascades along with trailheads to numerous destinations including the Pacific Crest Trail. 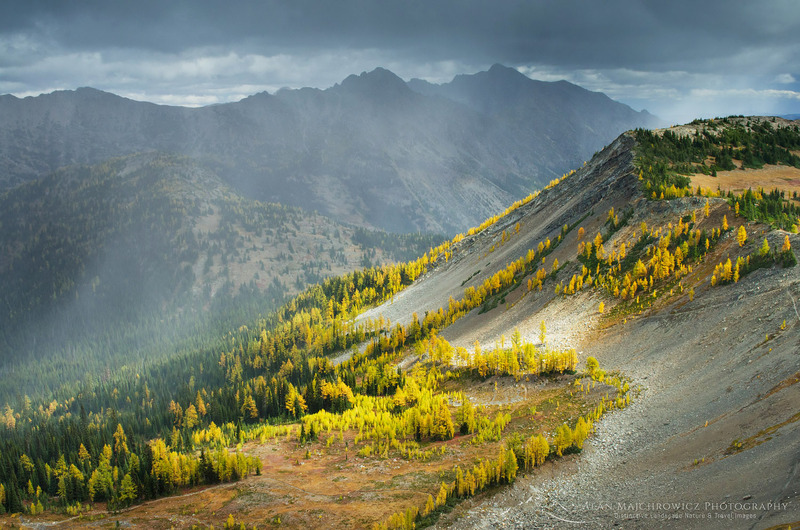 The above photo shows a grove of larches in full color just before an autumn snowstorm closed in. Finally, just a few days ago I made my first winter trip of the season to test out some new ski bindings in the Mount Baker area in preparation for winter photography. What a change from last year, the snow has been piling up for weeks and if it continues we may have a record year. I know it’s too early to say that but I feel optimistic! 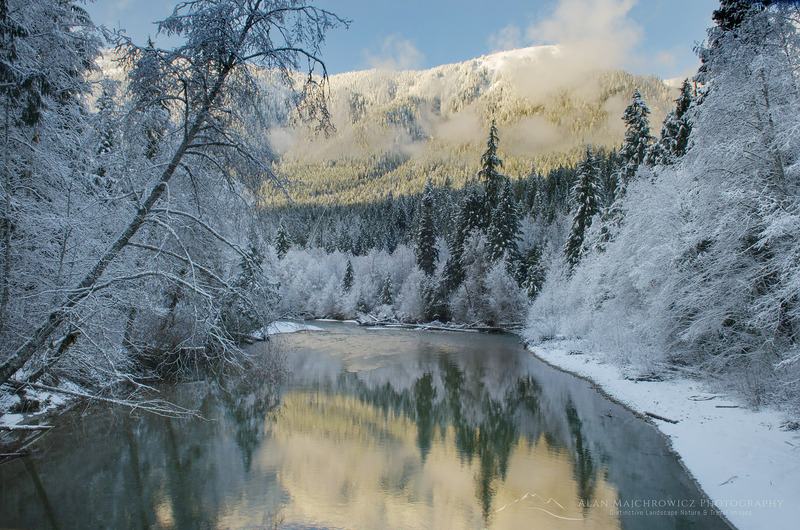 On the way down the Mount Baker Highway in the late afternoon I was treated to this view of snow covered trees along the Nooksack River. Once again it is time for all of us to look back on the past year and review our accomplishments and mistakes, in hopes that we will learn from them and experience personal growth in the coming year. 2014 was an exceptional year in which I was fortunate enough to visit some of my favorite truly outstanding locations. The top eleven images (yes other blokes best of lists may go to ten but mine goes one more, up to eleven) below represent some of the best and most memorable experiences I had behind the camera while on the road and trail in 2014. Many of you that follow me here and on Social Media will recognize some of them, but there are a few that have not been posted anywhere before. I would appreciate it if you could vote for your favorites in the comment box and share this post with your friends. Thanks to all my friends colleagues and loyal clients for making 2014 a successful year. Happy New Year with the best of health and prosperity for you and your families in 2015! First in line is this late winter photo of Mount Baker, made on a short overnight backpacking trip along the shore of Baker Lake. One of those wonderful sunrise events where the light gets better every second. On a trip to the Methow Valley to discover new locations for Spring wildflowers I came across this beautiful hillside. I spent several days hunting down wildflower compositions in a variety of lighting conditions. One of the most scenic beaches on the Washington Coast. This photo was made on the summer solstice. Behind me the beach was lined with dozens of tents from campers here to enjoy the event. 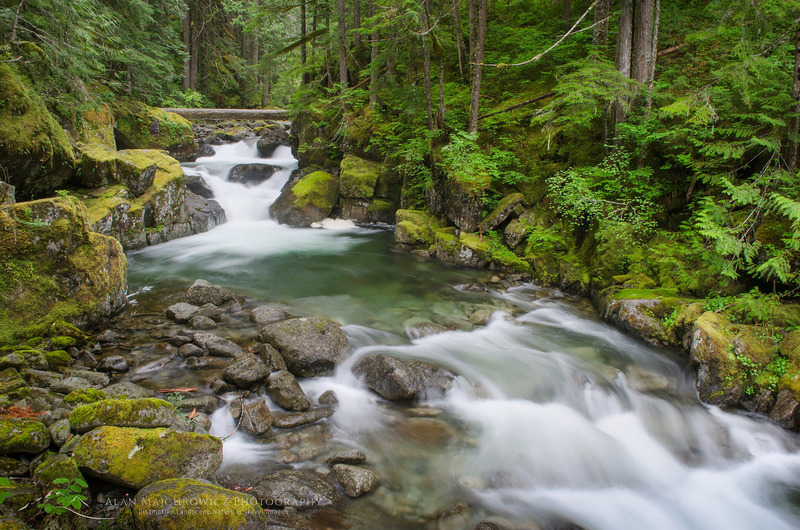 A visit to Olympic National Park wouldn’t be complete without seeing some of the fantastic forests and streams. 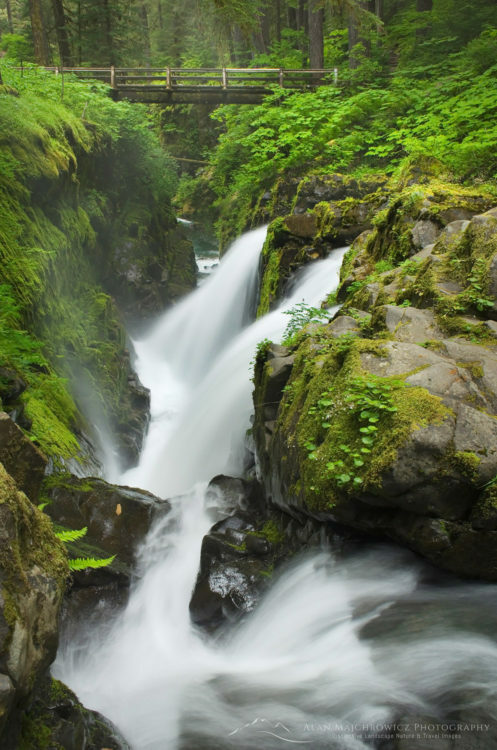 The short easy hike to Sol Duc Falls is one of the most popular attractions in the northern part of the park. The first of several high season backpacking trips into the Rugged North Cascades yielded this awesome sunrise view from Hidden Lake Peak. 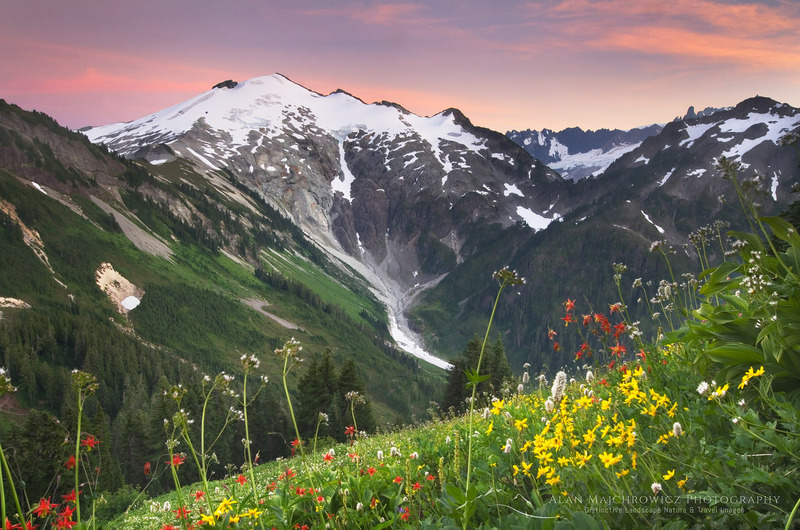 A week or so later further north in the Mount Baker Wilderness comes this view of Ruth Mountain made from wildflower meadows on Hannegan Peak. After spending a few days photographing on the summit I moved lower down to these meadows. Here the warm evening alpenglow cast a nice soft light across the scene. For me the pinnacle of the year came on this morning view of Mount Robson, King of the Canadian Rockies. This was my third trip to Mount Robson Provincial Park and I was hoping to come back with a great shot of the mountain. However, the first three of the five days I spent there offered only clear blank blue skies. Nice for hiking and camping but somewhat dull for photography. On the fourth morning the first clouds of a storm system arrived just at sunrise, casting an exceptional glow everywhere for about twenty minutes. That brief period was my reward. In the afternoon it began to rain and didn’t stop until I reached my truck 15 miles and a day later. 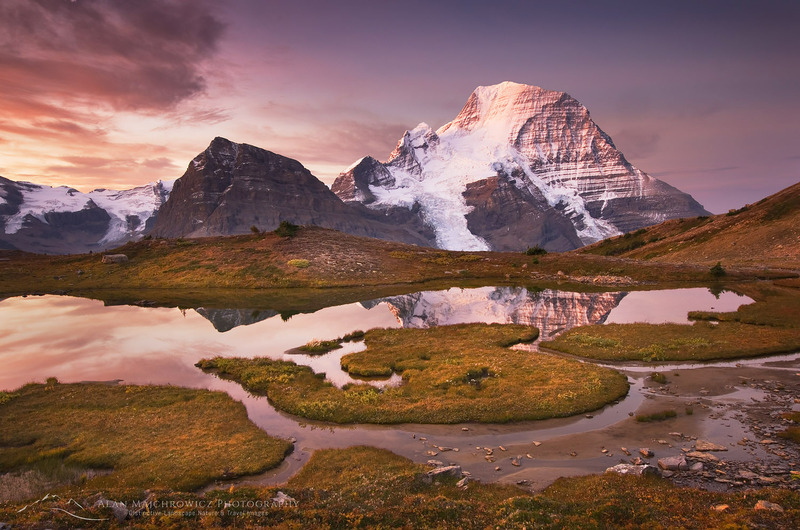 Another image from Mount Robson Provincial Park offers textbook examples of glaciation. The silty delta of the glacially fed Robson River on the left, and Berg Glacier on the right. 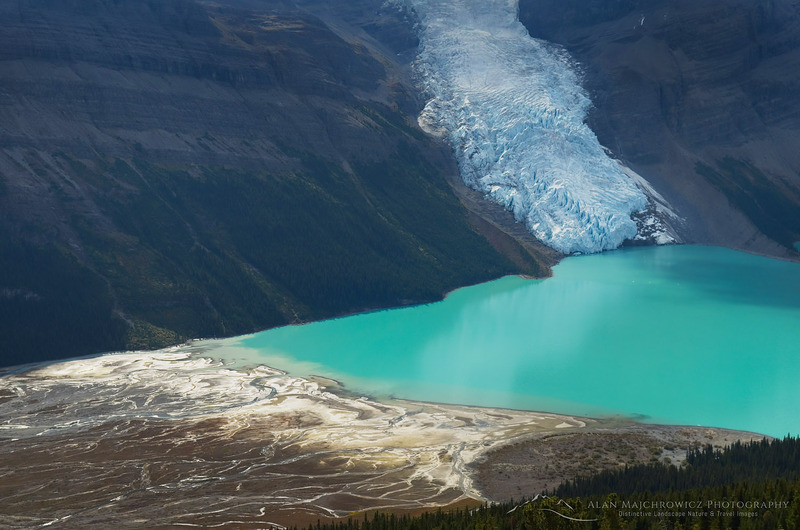 Glacial flour suspended in the lake gives it it’s turquoise color. 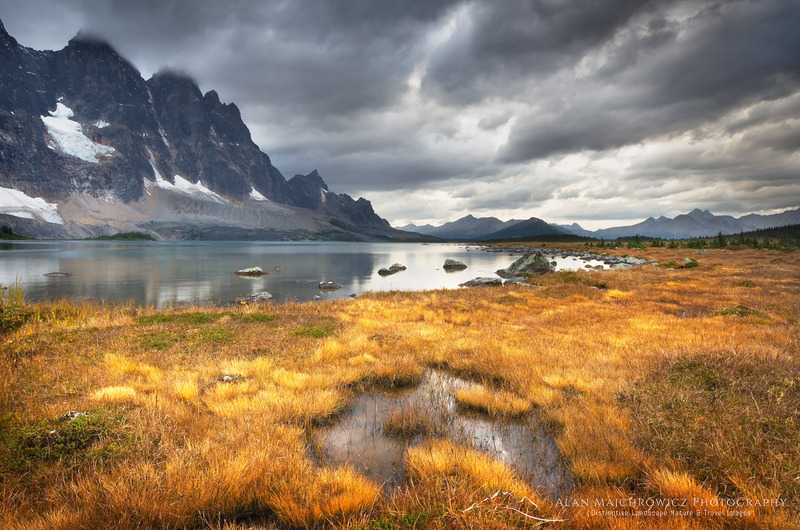 Another fantastic location in the Canadian Rockies, the Tonquin Valley of Jasper National Park. The light wasn’t of the colorful dramatic type I had hoped for. However, the steel grey sky and cliffs of the Ramparts accentuated the copper colors of the autumn grasses. Creating a foreboding feel to the scene. 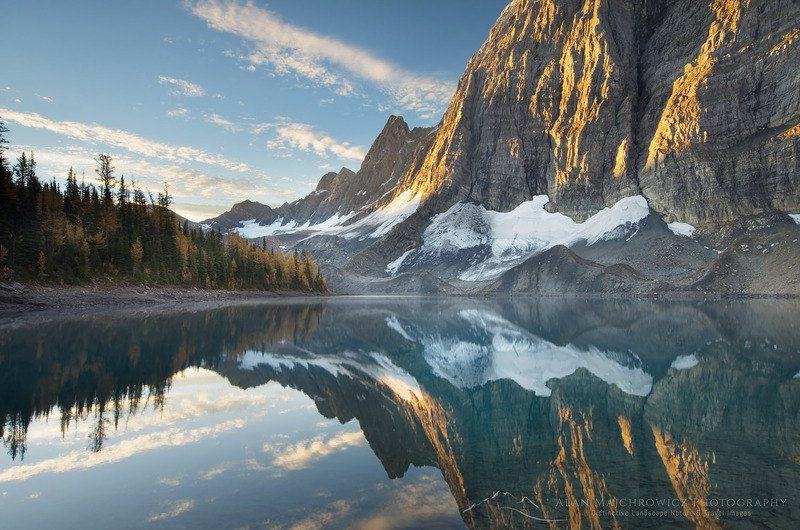 Further south in Kootenay National Park is Floe Lake. Set at the base of the awesome limestone cliffs of the Rockwall. 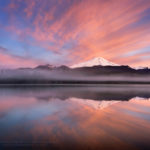 This is a stunning scene at dawn when the water is mirror still. This visit coincided with the needles of the Larch trees turning golden in late September. 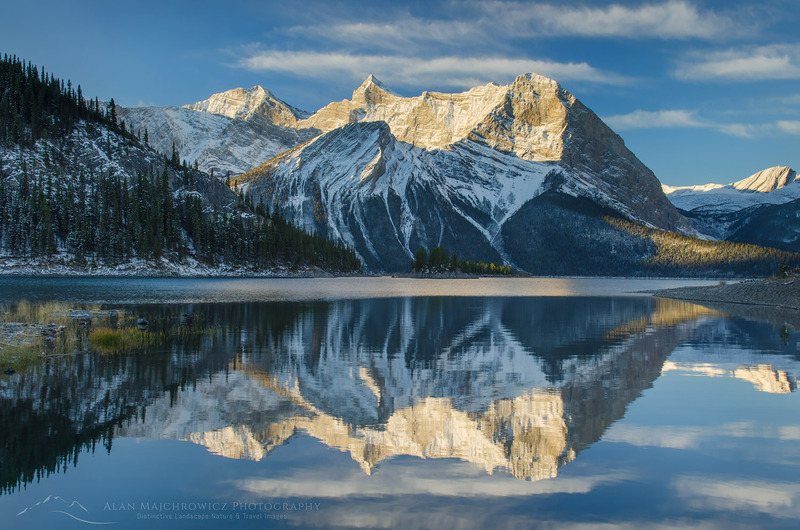 Lastly in this years highlights is a view Mount Sarrail reflected in the still waters of Kananaskis Lake. At the end of a trip punctuated by unseasonably warm fall weather an Arctic front moved in. 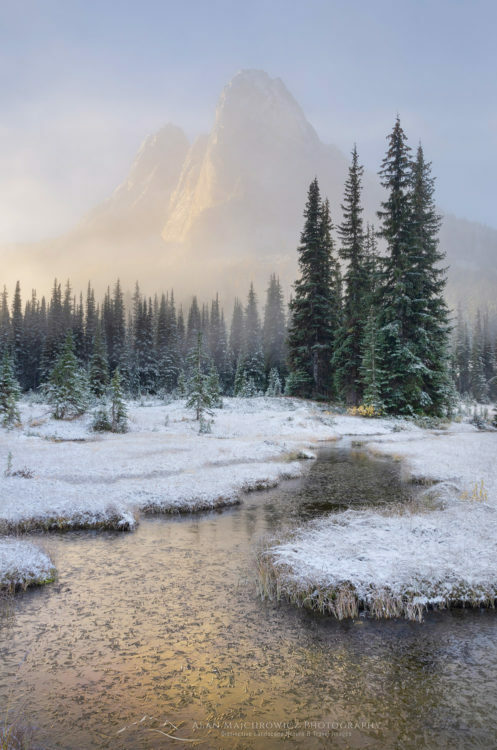 Depositing several inches of snow on the Canadian Rockies, giving this September scene a wintry look. Although the above photos comprise my favorites of 2014 there are many more in my library that I wanted to include. Please feel free to browse the galleries and portfolios on this website to see more. And don’t forget that all of my photos are available as fine art prints and for commercial licensing. Thanks for looking and I truly hope you have a happy and prosperous 2015!